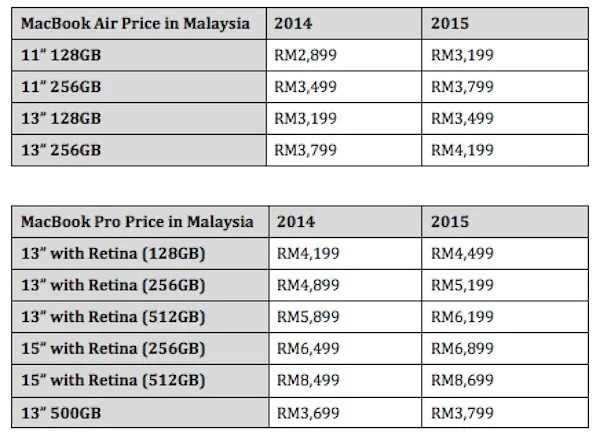 It looks like the iPhones were not the only Apple products to receive a price increase in Malaysia, Apple also increased the price of its refreshed MacBook Air and MacBook Pro. 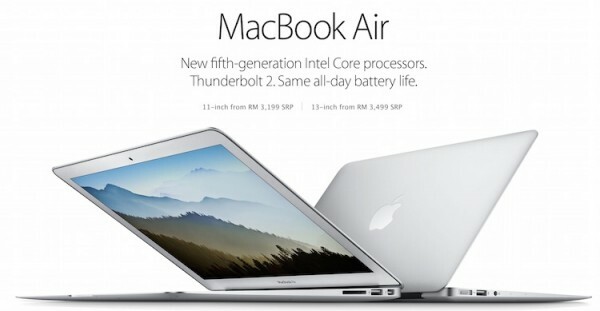 The MacBook Air is now available for a starting price of RM3,199, up from RM2,899 for the older MacBook Airs. As always, Apple is offering four MacBook Air models with two 11” models and 13” models. 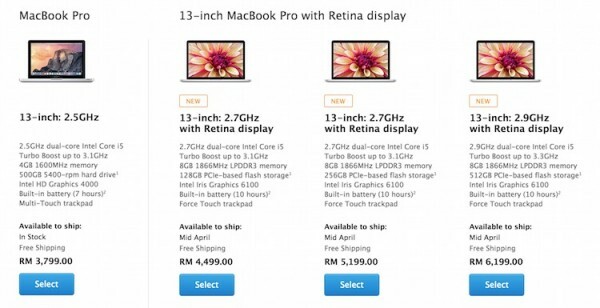 As for the MacBook Pro, Apple also increases the price starting from RM4,499, up from RM4,199 last year. 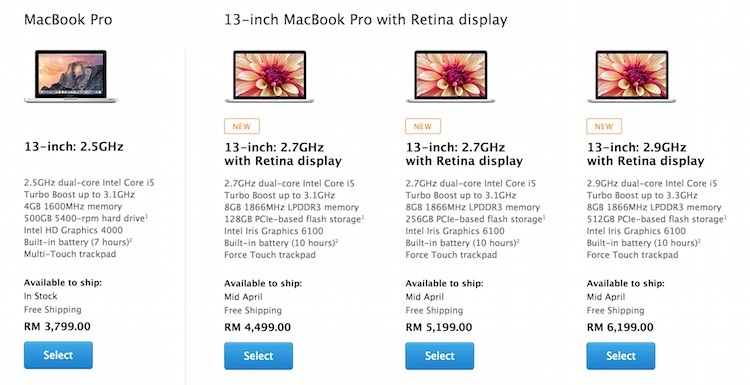 The non-Retina Display MacBook Pro also sees a price increase from RM3,699 to RM3,799 this year. 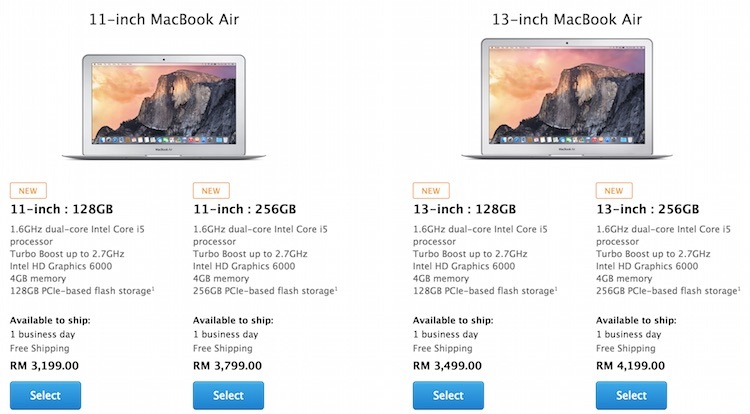 There are 5 models of new MacBook Pros to select from, ranging from RM4,499 to RM8,699. Of course, the prices for the 2015 models of MacBook Air and MacBook Pro are for the refreshed version, featuring improved hardware such as the new fifth generation Intel Core processors. Then again, the price for the U.S. remains the same, while we see a pretty significant increase of up to RM400. This is definitely a pretty depressing news for Malaysian consumers. 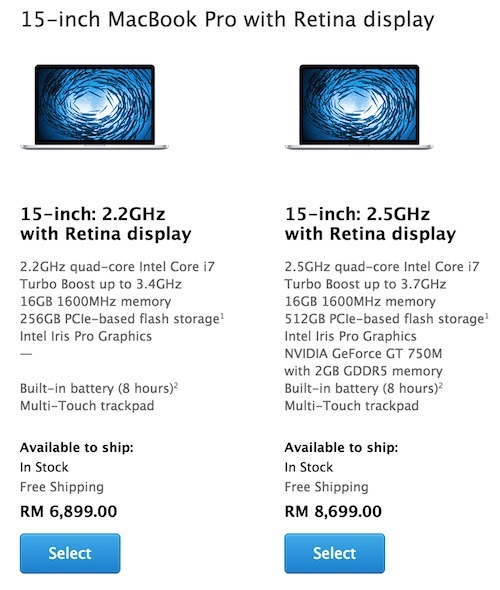 The new MacBook Airs are available to ship in 1 business day but for those of you who wish to get the refreshed MacBook Pro, it will only ship in mid-April, which means on top of RM200 to RM400 price increase, you will need to pay extra 6% GST as of 1 April 2015. Let’s hope our Malaysian Ringgit will strengthen back before this impacts us further as a whole.